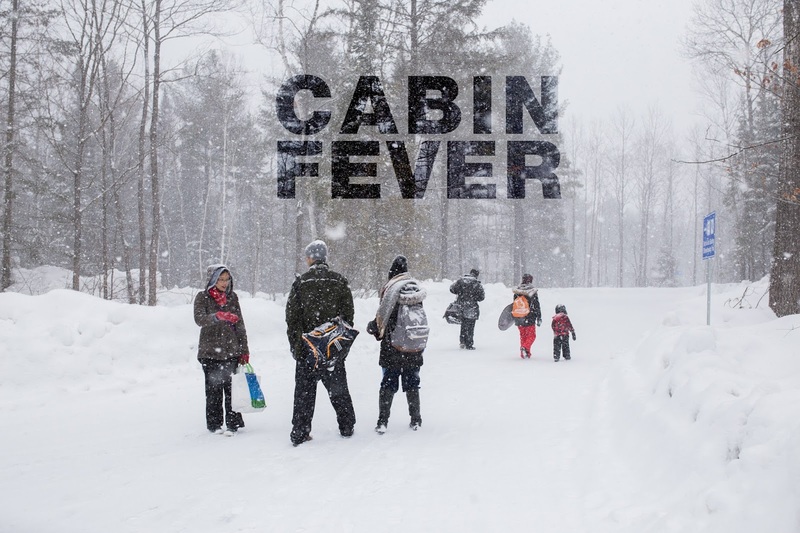 Cabin Fever ~ this anomal life. A bunch of us rented a cottage off airbnb; it was $630 for 2 nights and the cost was split between 8 of us (plus 2 children). The drive from where I live was only about 2.5 hours, maybe less. Danny is exploring the place. Mikey and Selena (aka Waifu) prepping breakfast. Inez getting ready to take a flatlay picture. Danny and Josh playing on the mattress. The backyard, where the Burnt River runs through. Mikey cleaning up after cooking breakfast. After breakfast we decided to drive to Arrowhead Provincial Park so that we can try out the skating trail. It takes about 2 hours to get there from our cottage. Danny is fascinated with many things. Here he is tossing snow. Winter up north is much different than winter in the suburbs. The trees were covered with fresh snow. We arrived at the skating trail and realized that the ice was horrible due to the weather conditions. The ice was too soft and brittle; the skates would dig into the snow making it hard to stay balanced. A lot of people were tripping and falling. I made it halfway through before turning back. The rest area is actually quite nice. It has 2 fire pits so you can warm up, with plenty of seating. It was extremely crowded when we first came until they decided to close the skating trail due to bad ice conditions. People cleared up and now we basically had the place to ourselves. Danny looking adorable as always. He does not like to wear gloves. Josh found a new way to play with his skates. The kids loved the snow. He's like a mini Michelin Man. The snow started to fall quite hard at this point. It was primetime for taking photos! Thank you, kind stranger, for taking our group photo! Danny is impressed with his own snow-clearing abilities. The snow was getting heavier, thus we decide to make our way back to the cottage so we didn't have to drive in the dark. On the way back to the parking lot, we came across this lady and her collies. They were beautiful but we couldn't get them to look at the camera. There's something magical about the snow up here. The next morning, the sun decided to come out and play! It was the first time in about two weeks that I saw a blue sky (this is not an exaggeration). We found some epic icicles hanging from the gutter. Josh enjoyed playing on the swingset. Danny can't quite use playground equipment on his own just yet. Jeff and his matching snow camo outfit. Throwing a snow ball at Mikey. Edit: Mike is proposing to Waifu? Overall, we had an awesome time! Our airbnb was fantastic (thank you Elen & Rudy for planning this!) The only downside was the disappointing skating trail (they should not have opened it that day in my opinion--you can check the latest conditions update on their Twitter).